Veteran running back Adrian Peterson signed for the Washington Redskins on Monday, joining the franchise on a one-year deal as he attempts to reignite a career blighted by recent injuries. The 33-year-old free agent was signed by the Redskins after the team suffered a slew of injuries to their roster of running backs, with rookie Derrius Guice ruled out for the season earlier this month. 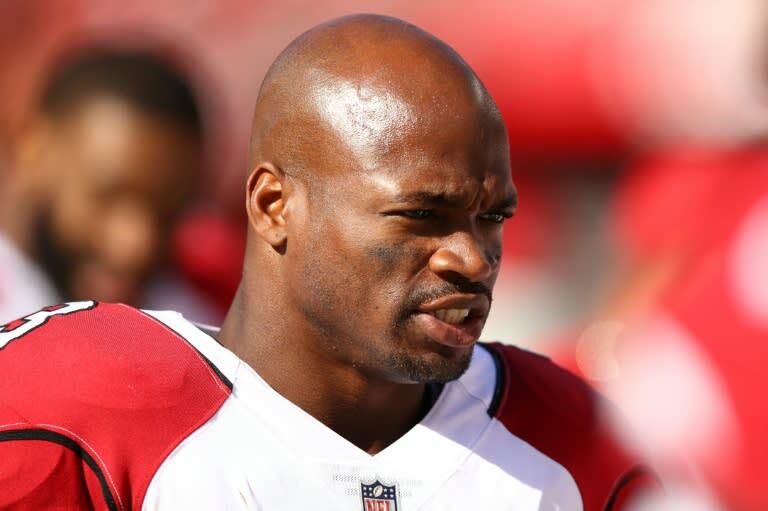 Peterson joins Washington after being released by the Arizona Cardinals in March. He had been traded to Arizona by New Orleans in October 2017 after being released by the Minnesota Vikings earlier in the year. Peterson, who missed the last few weeks of the regular season last year after suffering a neck injury, said in a statement he had never doubted he would get the chance to return for a 12th season. "I'm excited," Peterson said. "It's been a long offseason but I've been keeping my body in shape and [I’m] ready for this opportunity. So when this opportunity presented itself, I was just excited. "I would be lying to you if I said [the offseason] wasn't tough, because you're human. I've seen guys come through that door and guys go through this process. I had a great appreciation for it. "But me knowing what I had left in the tank, that was the only thing bothering me. But I knew in due time the opportunity would present itself." Peterson, who missed almost the entire 2014 season after being charged with assaulting his four-year-old son, ranks 12th on the all-time rushing list with 12,276 yards.